The district of Thonglor is often referred to as the ‘Beverley Hills’ of Bangkok – this hugely desirable area, together with neighbouring Ekkamai is one of the most popular places in the city. Awesome nightlife is just one reason people flock here. Bars, clubs, boutique hotels and restaurants are just begging to be explored. These districts contrast starkly to the typical loud and vibrant party atmospheres found in most parts of Bangkok and instead offer a sophisticated affair that attracts a slightly different clientele. Historically, Thonglor was known as a place that hosted cheap wedding showrooms and car dealerships, however around the turn of the millennium, a new wave of investment brought change to the area and it was slowly turned into the thriving and up-market district that is so popular today. In recent years, Thonglor has been a place where trends are set – many new concepts and ideas are rolled out here and it continues to host some truly fabulous establishments. If you work or live in Bangkok, and want to enjoy the best of what the city has to offer; head on over the Thonglor and Ekkamai for a truly memorable experience. The following guide presents some of the top attractions and things to do in this sublime region of Thailand’s capital city. Thonglor and Ekkamai are centralised around two main streets running through the Sukhumvit district in central Bangkok. The main attractions are situated on Sukhumvit Soi 55 and also on the adjacent Ekkamai Soi 53 – both of which can be accessed via the BTS Sky Train (Thong Lo station). In close proximity to these areas, you can find the Bangkok University, the Bangkok Hospital and Benjakitti Park. In terms of accommodation, Thonglor offers some of the most exclusive developments and property in Bangkok from lavishly furnished and decorated condos to rooftop apartments offering stunning views of the city. For the mid-range buyer, you can purchase a 1 bedroom condo in a development such as The Oleander for approximately 6.2 million THB. Alternatively, if you can afford to splash out, 38 million THB+ will buy you a sublime 3 bedroomed property in developments such as the Millennium Residence or Lake Avenue. What can you expect from Thonglor and Ekkamai? Baan Puen Bar – Known for its friendly atmosphere and inviting rooftop terrace, Baan Puen has it all – live music, home-cooked food, unique furnishings and reasonably priced drinks. If you want a fun-packed but laid-back evening – this is the place to come. Black Amber Thonglor Social Club – This up and coming gentlemen’s club oozes cool and has expanded into a truly magical place – the décor resembles a historic whiskey bar and their range of bourbon, rum and whiskey are second to none. 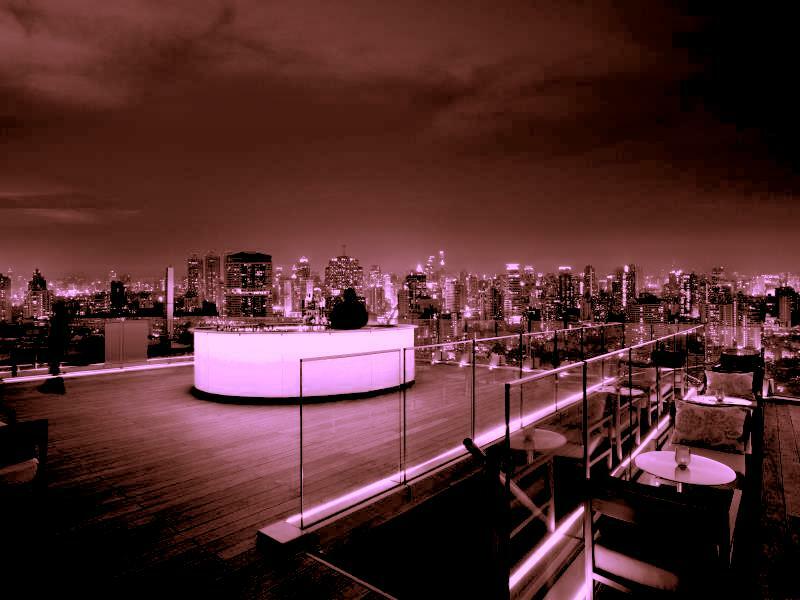 Desi Beats – Another fantastic rooftop venue, Desi Beats has a superb terrace that provides awesome views of the Bangkok skyline. This Moroccan themed bar has plush cushions for seating and is bursting with vibrant colours. If you love Shisha, cocktails and live music, this is the place to be! Clouds – This establishment is a place of wonder with an interior designed by renowned guru Ashley Sutton. You can find weird and wonderful features such as Barbie dolls hanging from the ceiling! Aside from the quirky interior, the drinks list is also fantastic, and the atmosphere here is upbeat and hip. If you prefer to sample some fine cuisine instead of a night on the town, Thonglor and Ekkamai also have a magnificent array of restaurants. From traditional Thai to Indian and Japanese, you can satiate your appetite in any way imaginable. Soul Food Mahanakorn – This establishment allows guests to experience Thai street food without the chaotic environment. At Soul Food you can sample some delicious curries and traditional culinary delights with a slight twist. The interior is simple and understated, but the food is absolutely divine! Supanniga Eating Room – This small restaurant is truly authentic and provides guests with a personal experience. You can enjoy traditional food and a host of rare dishes that are hard to find elsewhere in the capital all in a relaxed environment and served by friendly staff. Little Beast – If Thai food does not tickle your fancy, you can head on to the Little Beast to enjoy American and French comfort food instead. At this 1920’s New York-themed restaurant you can tuck into a good old-fashioned cheeseburger or something a little different like a pumpkin and goats cheese tart. The styling is phenomenal, and the food is truly scrumptious. Aside from the hip bars and restaurants, Thonglor also has some interesting delicatessens, fashion outlets and unique attractions waiting to be found. Sweet Monster – If you have a sweet tooth then Sweet Monster is an absolute must – this franchise from Korea serves delicious 75% milk ice-cream that is topped with a wide range of toppings include toffee popcorn. Aside from the ice-cream, you can also indulge in milkshakes and soda. Statement – This multi-label outlet provides an all-encompassing shopping experience and offers anything from swimwear to party outfits. For those who love to shop, Statement has it all including a café where you can enjoy a cocktail! 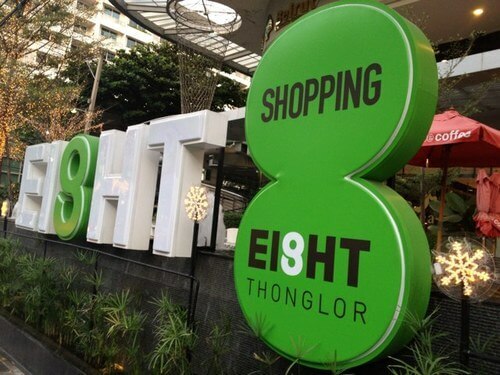 Ei8ht Thonglor – For those who enjoy the expensive things in life, Ei8ght Thonglor is a high-end shopping mall that contains a fantastic array of boutique stores selling premium value goods. This mall specializes in beauty and health products but also has a number of fashion outlets too. J Avenue – This community mall offers a more varied experience than Ei8ht Thonglor and has a myriad of attractions such as bowling and also a premium food market. Furthermore, J Avenue has a multitude of cafes, restaurants and designer stores. 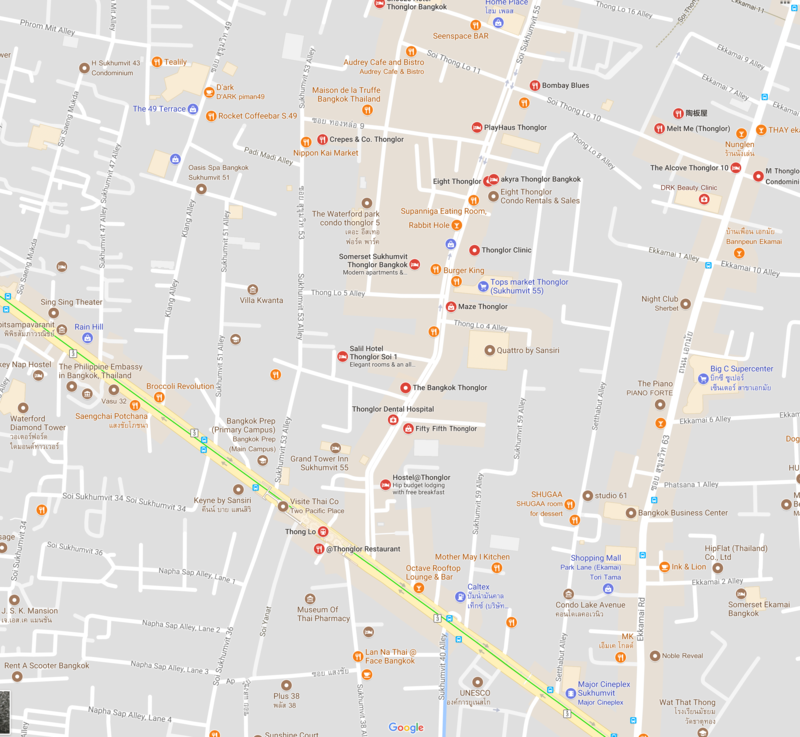 As you can see, Thonglor and Ekkamai are two fantastic areas in central Bangkok and cater to everyone’s needs. Aside from the attractions mentioned above, Thonglor and Ekkamai also have a range of recreational establishments for those who like to keep fit such as tennis clubs and gymnasiums. All in all, the wide variety of hip bars, quality restaurants, designer shopping outlets and premium accommodation make Thonglor one of the most exciting and popular areas in Bangkok so why not check it out for yourself! Want to know more about property in Bangkok? Contact Find Thai Property today. Local real estate agency providing a tailored and impartial service for international property buyers in Thailand.